With gas below $2 a gallon and the U.S. rekindling its romance with the SUV, car buyers may as well look at some of the least-efficient vehicles around. Editors' pick: Originally published March 23. Hey, we don't seem to care about fuel economy anymore, so why not burn all the gasoline we can and just fast-forward to the end of this thing, huh? Back in 2012, the Environmental Protection Agency and the Department of Transportation Vehicle decided that the national fleet-wide standard for vehicle fuel efficiency should be 54.5 miles per gallon by 2025. That got automakers to build pickup trucks out of lightweight aluminum, to make efficient V6 versions of the Ford Mustang, Chevrolet Camaro and Dodge Challenger that all get 30 miles per gallon on the highway and to build electric vehicles that chase the Tesla's Model S and its 270-mile fuel-free radius. As a result, the average fuel economy (window-sticker value) of new vehicles sold in 2015 was 25.3 mpg, according to the University of Michigan Transportation Research Institute. That's still less than halfway to the EPA and Department of Transportation's goal that they set back in 2012, though it beats the roughly 19 miles per gallon that the Department of Transportation measured for the same pool of vehicles in 1995. It's also closing in on double the average mileage of the light-duty vehicles on U.S. roads in 1980. But, bro... that fuel standard was set in 2012, when gas prices closed in on an average of $4 per gallon nationwide. Now, according to AAA, they're hovering around $1.80. Sure, that isn't going to last and the global power play over fuel prices will eventually end, but, dude, gas is so cheap now! Shouldn't we be, like, buying less-efficient cars? Well, that's already happening. According to MotorIntelligence, sales of cars are down 4% from this time last year, while sales of SUVs and crossovers are up nearly 10%. 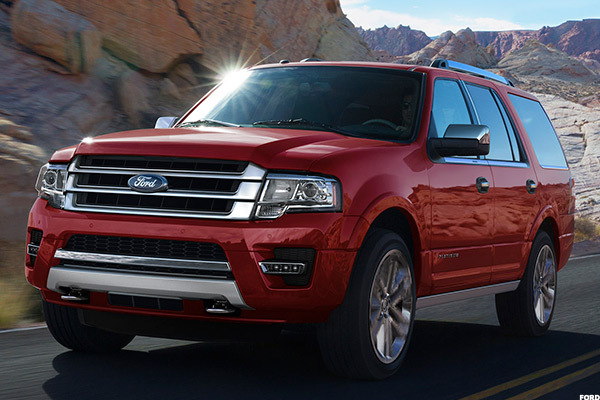 Sales of pickup trucks are up 4%, sales of minivans are up 31% and even sales of large cargo-sized vans are up 17%. Though the EPA just loves to poke at brands like Bentley, Ferrari and Bugatti for inefficency, Bentley and Ferrari combined have accounted for fewer than 600 of the more than 2.4 million vehicles sold in the U.S. through February. In fact, Bentley sales are down by more than 50%. Unfortunately, automakers including General Motors (and its 16.9% share of the U.S. market), Chrysler (13.4%), Toyota (14%) and Nissan (9.7%) all make fuel-chugging vehicles that are far more accessible to U.S. car buyers. They aren't cheap, but buyers keep paying the price for performance and utility. The “swagger wagon" only gets 21 mpg from its base model, yet remains indispensable to parents. It's an eight-passenger, modular-seated, power liftgate-enabled, Blu-ray playing school shuttle and grocery getter. Yes, it has a 3.5-liter V6 engine, but that power is used primarily to pull onto the highway on the first leg of a family vacation. 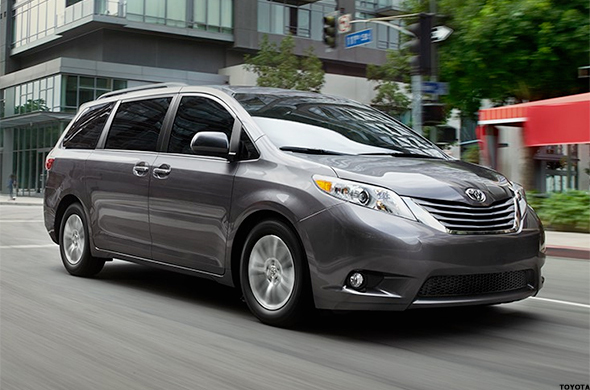 There's a lot of great safety and entertainment technology in the Sienna, but none of that helps a family stop visiting the pump during various shuttling missions. Admittedly, this is a better showing than Nissan and its trucks have put in lately. The now-extinct Nissan XTerra SUV had meager mileage, while the Titan pickup and its Armada SUV counterpart were built with just miserable mileage [NB: neither Nissan nor the EPA has disclosed yet for the 2016 models, so the jury is still out]. 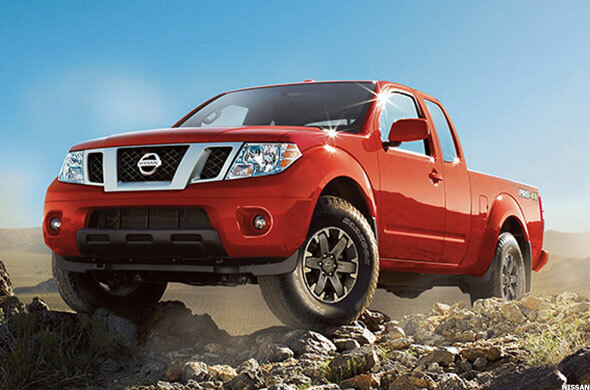 However, the Frontier requires an upgrade to get to this lowly level. Granted, the more efficient 21 mpg of the base model is only possible thanks to a scrawnier four-cylinder, but it has not be nice for Nissan to not be higher on this list for once. It isn't as if the 20 mpg of the base model is great, but this is what you get for squeezing a minivan in a crossover's body. 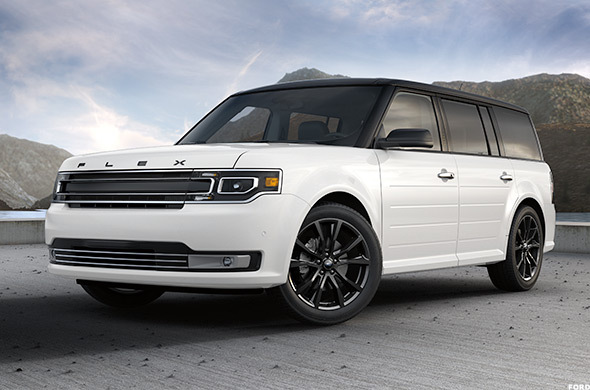 The Flex has room for seven, 44 inches of legroom in the second row (though Consumer Reports disputes this and says it's 31.5) and a power folding mechanism for getting into the 33.3 cubic feet (28 the Consumer Reports measure) in the third row. Lofty headroom makes easy to transport a large crew or throw some gear in the back and take a long trip all while giving them enough room to maneuver regardless of height. Options such as sliding second-row captain's seats, Microsoft Sync phone, entertainment and navigation systems in its MyFord Touch screen, DVD entertainment center for the back, a multipanel sunroof, a third-row seat that flips into a rear-facing tailgate bench and a second-row fridge console for road beverages make it a family favorite. At nearly two and a half tons, however, it's also incredibly heavy. With 707 horsepower produced by its 6.2-liter supercharged Hemi V8 engine, you know exactly why this car has such appeal. However, even if you knocked nearly $14,000 off the price and went with the 485-horsepower 392 Hemi SRT, you're going to get negligibly better mileage, at best. Chrysler's Street Racing Technology wing has one mission: to create the brawniest version of every vehicle from the Chrysler 300 to the Dodge Viper that it possibly can. 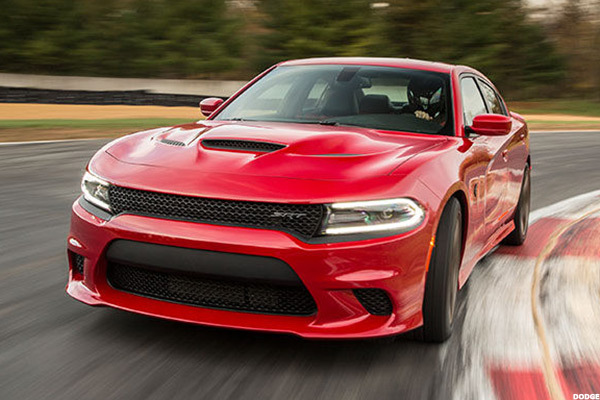 We would have put the Charger's Hellcat version on this list, too. But at $67,000, it didn't make the cut. Nope, these dinosaurs aren't extinct. The GMC Yukon K1500 XL and Infiniti Q80 and other large SUVs are still lumbering down U.S. roads and breaking hearts in wide-open states like Texas, even though their sales are down 4% from last year. You can thank economic recovery and the downturn in fuel prices, but there are still a whole lot of drivers who love themselves a big, durable SUV (albeit with a surprisingly thirsty 3.5-liter V6). That said, they really aren't for everybody. The 21,557 large SUVs of all brands sold through February are about equal to the number of Nissan Rogues sold during that same period. Sure, you can get a passenger version of this Euro-style van, but it's still just a cargo van with seats in it. 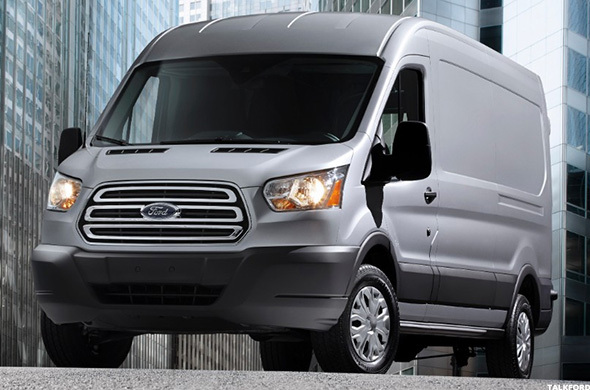 Ford's Econoline van -- the formerly ubiquitous school, church and airport shuttle -- is long gone, but this continues the grand tradition with a slightly more appealing bod. Extras like a leather steering wheel, “smoker's package,” dimming rearview mirror, SYNC, rearview camera, touchscreen controls, voice communication, sliding fold-flat third-row seat and automatic climate control do little to mask this van's true purpose, though a rear-seat heater and air conditioner help. It's the 104.2 cubic feet of total cargo space that's the Transit's draw. Everything else -- from fuel economy to amenities -- is strictly secondary. 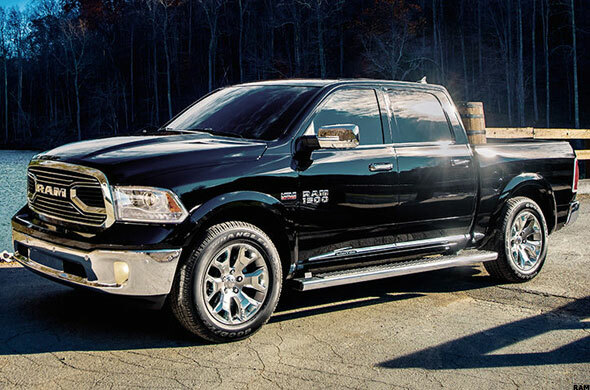 Even the standard 1500's 19.5 mpg would be a dream for this 5.7-liter V8 hemi-powered beast. But U.S. drivers and workers love a big, durable pickup. Sales of pickup trucks are up 17% this year and, so far in 2015, pickups account for the three top-selling vehicles in the country. The Ram trails only the Ford F-Series and Chevrolet Silverado but managed to leap over the Toyota Camry in overall sales. Fuel economy may be a concern for pickup producers as even market-leading Ford tries to drop its F-Series mileage, but it isn't a dealbreaker for buyers. Even the less-loved pickups can still make fans look beyond mileage for power and durability. 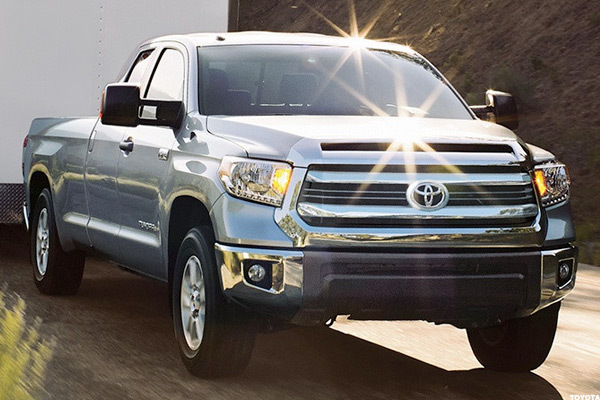 Granted, this bruising version of the Tundra comes with a 5.7-liter V8 engine generating 381 horsepower, but even a standard two-wheel-drive version only does slightly better at 15.5 mpg. The Tundra got a “refresh” in 2014, but it hasn't received a generational overhaul since 2007, which could account for that mid-2000s mileage and the huge discrepancy (100,000 to 750,000) in sales between it and the Ford F-Series last year. Sticking the Tundra's 5.7-liter, 381-horsepower V8 in a honking-big SUV is just going to yield the same results with less bed space. Built on the same platform as the Tundra, the Sequoia is yet another large SUV riding the small wave of buyers still clamoring for vehicles like it. Toyota tweaks the interior technology every few years or so, but the Sequoia has gone fundamentally unchanged since 2007. 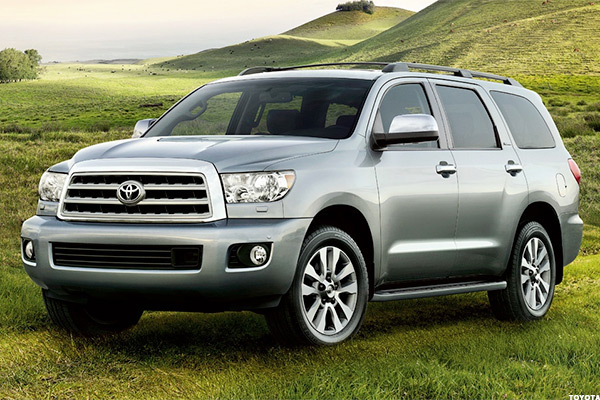 All of the above has contributed to a dramatic decrease in the Sequoia's popularity, with just 11,000 selling in the U.S. in 2014 compared to 70,000 at the vehicle's peak in 2002. Assembled in Wentzville, Mo., with an overwhelming majority of parts made in the U.S., it's one of the most American-made vehicles on the road. It's also a fossil that's being slowly replaced by the far more efficient “city” versions of each of these vans, which get 24 miles per gallon in town compared to the Express and Savana's paltry 11. 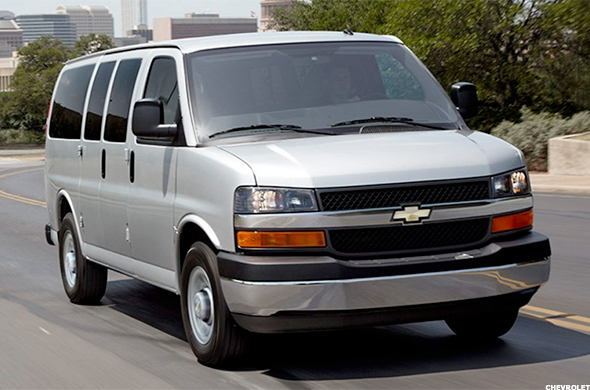 Still, these vans make up nearly half of the full-size fan market and, despite not receiving much of an overhaul during their lifespans, are still favored for the 10,000-pound towing capacity and more than 4,000 pounds of maximum payload.